Dr. Manaf Alkurdi is a graduate of Damascus University – Faculty of Dental Medicine where he also completed his Advanced Education in General Dentistry; upon completion of his education, he practiced dentistry in Egypt where he continued his education and trained to place and restore implants. When he moved to the United States Dr. Alkurdi was working at The Forsyth Institute, the leading center for dental and craniofacial research; his fellowship focused on the treatment for oral cancer by targeting the cancer stem cells. 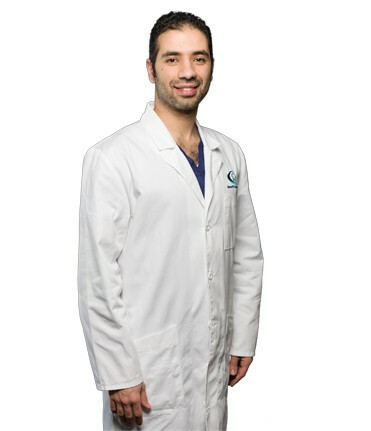 In 2016, Dr. Alkurdi attended a 2 year advanced standing program at Boston University; his advanced education program included digitally restoring teeth and implants using CAD-CAM technology, prosthetically driven implants using 3-D imaging and surgical guides, Invisalign orthodontic devices, 3D Printed removable prosthesis, implant retained dentures, and the use of state of the art materials for crown and bridge restoration. He currently resides in Johnston, Rhode Island. After being fortunate to see, travel and live in different parts of the world. He looks forward to building on his dental career in Providence. In his spare time, he enjoys reading, biking and trying different cuisines at local restaurants. Last, but most important, as a newly wed, he and his wife hopes to make the greater Providence area his family community.